For some local high school students, the high cost of attending prom keeps this rite of passage out of reach. 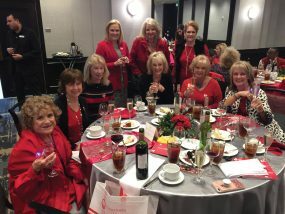 But, thanks to Assistance League of the Bay Area, many young men and women will be referred through their schools to participate in Operation Cinderella this year. Students identified by their high school officials as in-need in Clear Creek, Dickinson and La Porte School Districts will receive head to toe prom-appropriate attire. Last year Assistance League members were pleased to outfit over 100 young women and men for Prom 2014. 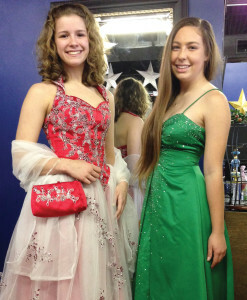 Assistance League is now accepting donations of new and gently-used formal dresses, shoes, jewelry and purses at their resale shop located at 100 E. NASA Parkway in Webster. Dresses may be dropped off during store hours Wednesdays and Thursdays 10 a.m. to 5 p.m. and Friday and Saturdays 11 a.m. to 3 p.m. For more information email Operation Cinderella Chairman Ann Hammond at annhammond@earthlink.net. Donations toward tuxedo rentals may also be made at the resale shop. All donations are welcome and each time these total $85, one more grateful young man will receive a tuxedo rental!